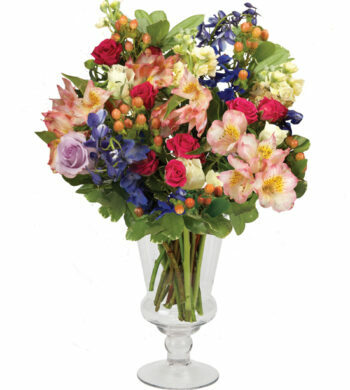 If you’re looking for something surprising, eye-catching and springtime beautiful, this bouquet is the perfect choice. 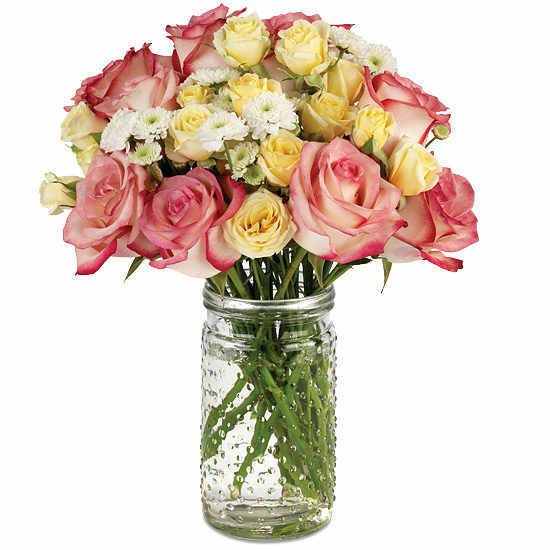 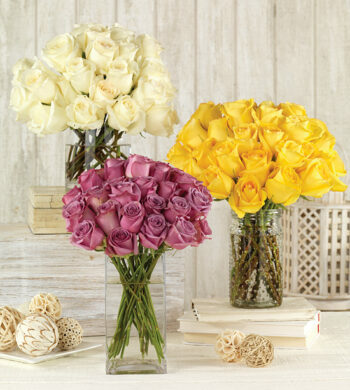 Blushing pink and cream roses have been paired with dainty lemony yellow spray roses. 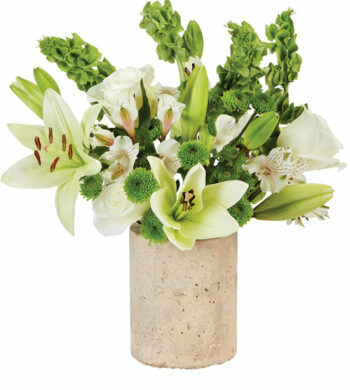 Charming white chrysanthemum poms surround the two. 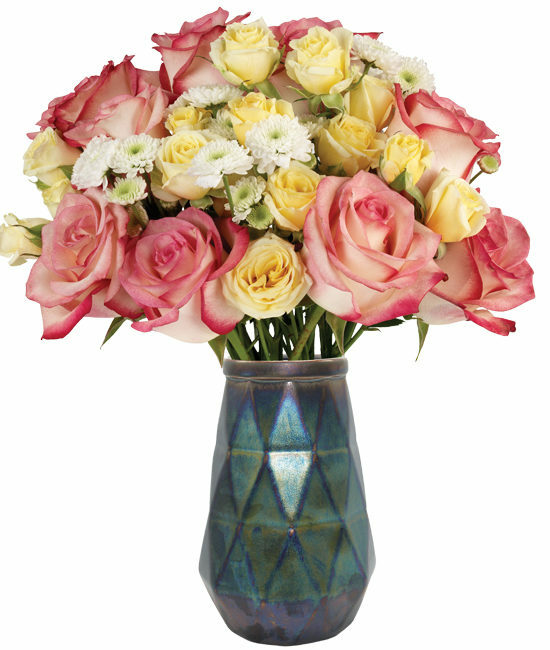 Our unique blue iridescent vase with its fun shape adds additional charm to the bouquets presentation.